Reportedly, Infinity Ward has mistakenly leaked some details about the upcoming Call Of Duty: Ghosts DLC. The PC update of the game made the internal dev playlist public for sometime. The leaked info includes name of the maps that might be part of the downloadable content for the game. 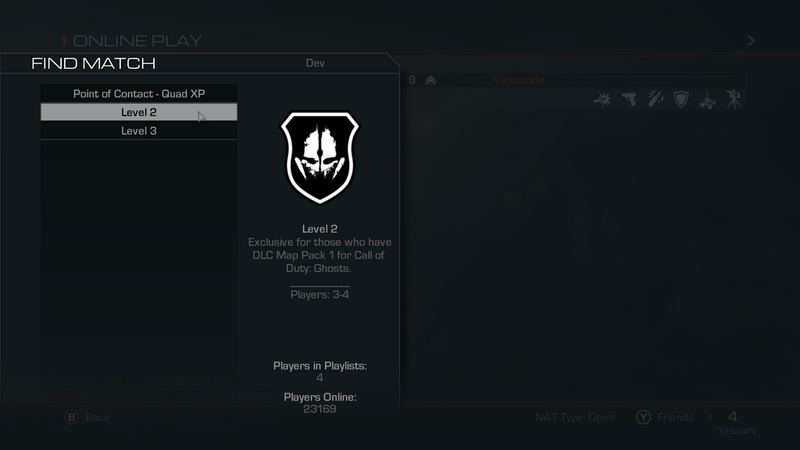 Infinity Ward’s internal dev playlist was visible to the Call Of Duty: Ghosts PC player for a short while after the game got a new update. The playlist provided some information and names of the possibly forthcoming Call Of Duty: Ghosts DLC maps. A Call Of Duty fan site CharlieIntel, reported that Several Call Of Duty: Ghosts PC gamers are reporting that a new update for the game has revealed the Infinity Ward’s internal dev playlist including new maps. Some images of the leaked playlist also show that new Extinction mode content is also coming up in the Call Of Duty: Ghosts DLC. New Extinction mode maps named in the picture are “Level 2” and “Level 3”. The list also includes a map named Dome, Call Of Duty: Modern Warfare 3 had a multiplayer map named Dome, this means there is a possibility of the old Dome map returning to the new game. 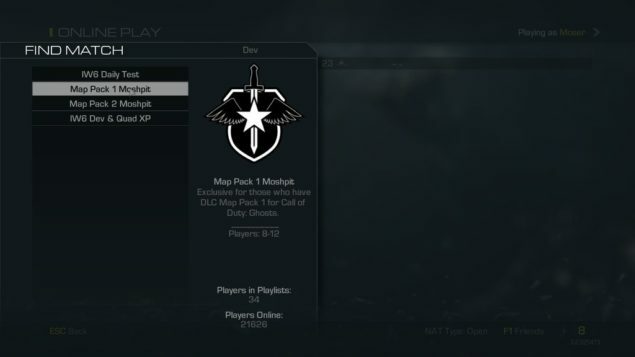 Infinity Ward confirmed in June at E3 2013 that they have plans to release four Call of Duty Ghosts map packs. However, the release date was not specified. The map packs would be available standalone or could be pre-purchased at a discount when bought as part of a DLC season pass. It was confirmed at E3 that the Call Of Duty: Ghosts DLC would be first available on Xbox One. To view all the images of the leaked playlist, please visit here.